Bramcote Hills House became the new show home for John Sherwin in 1805 when he vacated Bramcote Manor House. Following his death, both the house and the estate became the property of his son; John. In the course of time, John also inherited the Gregory estates in Lincolnshire so that his name became John Sherwin Gregory. Photos shown of the House are as it was in the early 1900s. John married Catherine Holden of Nuthall, but there were no children from this marriage so when she died in 1892 Bramcote Hills passed to her brother Henry Holden; seen in the photo to the right. 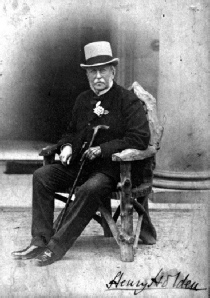 He was already living in Bramcote at The Grove with his wife Isabel; a daughter of Sir Samuel Cunard. Henry was an interesting personality, who had the nickname “Hellfire Jack” even though he was the Chief Constable for Nottinghamshire! He held various other prominent positions in the county. Henry’s eldest son, Harry Winton, had predeceased him so the grandson; Millington Holden was destined to be the new owner of The Hills, but he died in a motorcycle accident. 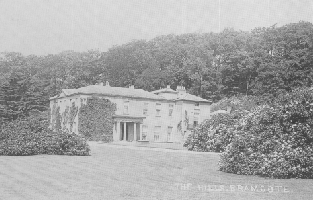 The next son Frederick William also died in a motoring accident so it was Ernest Frank Holden who eventually became the resident owner at Bramcote Hills c1916 to 1922. 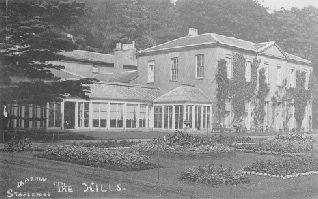 In the early 20th Century there were a number of prominent Nottinghamshire families who rented Bramcote Hills House from the Holdens including the Fishers, the Clays and the Fitzherbert Wrights. During the Second World War Chilwell Ordnance Depot acquired the house as a hostel for A.T.S. drivers and a rehabilitation centre. In the late 1940s, when the house and estate had become the property of John Alfred Edwin Drury Lowe, a descendant of the Holdens, they were compulsorily purchased and the creation of the Bramcote Hills Schools Campus began. The house itself, which had temporarily been converted into two flats for Council employees, was demolished in 1969.